Your doctor has recommended the Invisalign® system for your orthodontic treatment. Although orthodontic treatment can lead to a healthier and more attractive smile, you should also be aware that any orthodontic treatment (including orthodontic treatment with Invisalign aligners) has limitations and potential risks that you should consider before undergoing treatment. Invisalign® aligners, developed by Align Technology, Inc. ("Align") consist of a series of clear plastic, removable appliances that move your teeth in small increments. Invisalign products combine your doctor's diagnosis and prescription with sophisticated computer graphics technology to develop a treatment plan which specifies the desired movements of your teeth during the course of your treatment. Upon approval of a treatment plan developed by your doctor, a series of customized Invisalign aligners is produced specifically for your treatment. You may undergo a routine orthodontic pre-treatment examination including radiographs (x-rays) and photographs. Your doctor will take impressions of your teeth and send them along with a prescription to the Align laboratory. Align technicians will follow your doctor's prescription to create a ClinCheck® software model of your prescribed treatment. Upon approval of the ClinCheck treatment plan by your doctor, Align will produce and ship a series of customized aligners to your doctor. The total number of aligners will vary depending on the complexity of your malocclusion and the doctor's treatment plan. The aligners will be individually numbered and will be dispensed to you by your doctor with specific instructions for use. Unless otherwise instructed by your doctor, you should wear your aligners for approximately 20 to 22 hours per day, removing them only to eat, brush and floss. As directed by your doctor, you will switch to the next aligner in the series every two to three weeks. Treatment duration varies depending on the complexity of your doctor's prescription. Unless instructed otherwise, you should follow up with your doctor at a minimum of every 6 to 8 weeks. Some patients may require bonded aesthetic attachments and/ or the use of elastics during treatment to facilitate specificorthodontic movements. Patients may require additional impressions and/or refinement aligners after the initial series of aligners. Invisalign® aligners offer an esthetic alternative to conventional braces. Aligners are nearly invisible so many people won't realize you are in treatment. Treatment plans can be visualized through the ClinCheck® software. Aligners allow for normal brushing and flossing tasks that are generally impaired by conventional braces. Aligners do not have the metal wires or brackets associated with conventional braces. The wearing of aligners may improve oral hygiene habits during treatment. Invisalign patients may notice improved periodontal (gum) health during treatment. (x) The bite may change throughout the course of treatment and may result in temporary patient discomfort. (xi) Af the end of orthodontic treatment, the bite may require adjustment ("occlusal adjustment"). (xii) Supplemental orthodontic treatment, including the use of bonded buttons, orthodontic elastics, auxiliary appliances/ dental devices (e.g. temporary anchorage devices, sectional fixed appliances), and/or restorative dental procedures may be needed for more complicated treatment plans where aligners alone may not be adequate to achieve the desired outcome. (xiii) Teeth which have been overlapped for long periods of time may be missing the gingival tissue below the interproximal contact once the teeth are aligned, leading to the appearance of a "black triangle" space. (xiv) Aligners are not effective in the movement of dental implants. I have been given adequate time to read and have read the preceding information describing orthodontic treatment with Invisalign aligners. I understand the benefits, risks, alternatives and inconveniences associated with treatment as well as the option of no treatment. I have been sufficiently informed and have had the opportunity to ask questions and discuss concerns about orthodontic treatment with Invisalign® products with my doctor from whom I intend to receive treatment. I understand that I should only use the Invisalign products after consultation and prescription from an Invisalign trained doctor, and I hereby consent to orthodontic treatment with Invisalign products that have been prescribed by my doctor. 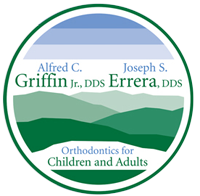 Due to the fact that orthodontics is not an exact science, I acknowledge that my doctor and Align Technology, Inc. ("Align") have not and cannot make any guarantees or assurances concerning the outcome of my treatment. I understand that Align is not a provider of medical, dental or health care services and does not and cannot practice medicine, dentistry or give medical advice. No assurances or guarantees of any kind have been made to me by my doctor or Align, its representatives, successors, assigns, and agents concerning any specific outcome of my treatment. I authorize my doctor to release my medical records, including, but not be limited to, radiographs (x-rays), reports, charts, medical history, photographs, findings, plaster models or impressions of teeth, prescriptions, diagnosis, medical testing, test results, billing, and other treatment records in my doctor's possession ("Medical Records") (i) to other licensed dentists or orthodontists and organizations employing licensed dentists and orthodontists and to Align, its representatives, employees, successors, assigns, and agents for the purposes of investigating and reviewing my medical history as it pertains to orthodontictreatment with product(s) from Align and (ii) for educational and research purposes. I understand that use of my Medical Records may result in disclosure of my "individually identifiable health information" as defined by the Health Insurance Portability and Accountability Act ("HIPAA"). I hereby consent to the disclosure(s) as set forth above. I will not, nor shall anyone on my behalf seek legal, equitable or monetary damages or remedies for such disclosure. I acknowledge that use of my Medical Records is without compensation and that I will not nor shall anyone on my behalf have any right of approval, claim of compensation, or seek or obtain legal, equitable or monetary damages or remedies arising out of any use such that comply with the terms of this Consent. A photostatic copy of this Consent shall be considered as effective and valid as an original. I have read, understand and agree to the terms set forth in this Consent as indicated by my signature below.